Die Cutting is at the core of Superior’s nonwoven converting capabilities. We have experienced engineers and quality staff to ensure your job is done right. We have the ability to die cut felt and other products in sizes up to 72” wide. We can die cut any shape your project requires and can produce custom-made dies designed uniquely to meet your needs. We provide meticulous die cut nonwovens at competitive prices. 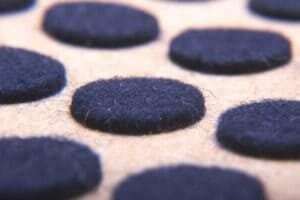 Contact Superior to learn more about our felt die cutting capabilities.